What does it mean to study English? It is obvious that the term English implies a lot, perhaps too much, for a single degree course. Necessarily, much is implicated in its reach. Among other things, on your degree you might encounter art history, politics, philosophy, film studies, psychology, linguistics, even science. A strong English course, though, should not shy away from the breadth of what lays before it, but should excitedly square up to the range of approaches, styles, and methods of study that are required to yield the most rewarding results. In 2006 surgeons from the Great Ormond Street Children’s Hospital invited a team of Ferrari Formula One pit stop mechanics to observe them at work. The mechanics noted a number of key changes, particularly in the areas of synchronization, communication, and patient relocation. The doctors consequently developed new surgical protocols forged new lines of communication with nurses and technicians, and even designed a new operating gurney to smooth their patients’ transition between the operating room and intensive care. The moral of the story is this: whatever your discipline or area of study, be prepared and eager to develop and change from what others, with their experience and expertise, can teach you. Although there appears to be little in common between the work of paediatricians and that of mechanics, in this case the Ferrari team’s ability to carry out precise repairs quickly and harmoniously became useful for the doctors. These two disparate professions found a connection through a method of working. The doctors are still experts in medicine, they operate on children not cars, but their style of working has been improved. This is an example of interdisciplinary working. Medicine and mechanics really are in many ways incompatible fields, yet one was able to be improved by the other while remaining distinct. Working in an interdisciplinary way is about maintaining a sense of the particulars of a subject, and at the same time being attentive to the common ground it shares with others. This is because in many cases the boundaries between subjects are not as clearly defined as we might think. ‘Knowledge is not created in a disciplinary vacuum’, says Dr Tiffany Watt-Smith in her Radio 3 essay ‘The Human Copying Machine’, where she explores the connections between 19th century theatre and psychology. Literature, too, does not exist in a bubble. 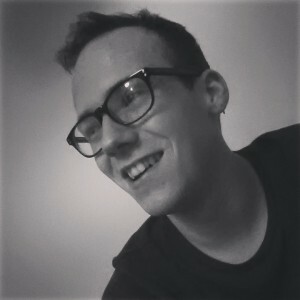 Literature is about the world and the people who live in it, and to fully appreciate and engage with a literary text requires thinking beyond the narrow parameters of what some might presume English consists of, just as we know to look beyond the words on the page when analysing a poem or a novel. Along with Sword’s example of how interdisciplinary working can be practically useful, it allows for new ways of studying and looking at literature, which are intellectually stimulating. 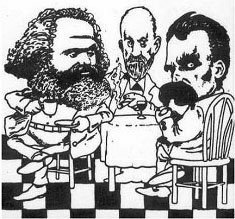 This cartoon shows Marx, Freud, and Nietzsche (known as the Masters of Suspicion) sitting at a table, each with their uniquely characteristic facial hair, looking in different directions. If I may be allowed to crudely read a little too much into this image, I will explain how I see it as a metaphor for English as an interdisciplinary subject. We might see the table in its own right as the study of English literature, while each of the thinkers have a seat at the table, sharing the space, bringing something of their own to it – a cup of tea, a glass of wine, a cigar ( as well as those brilliant beards). If we say the table is Hamlet in this instance, Marx may be seeing the economic and political struggle at work in the Danish kingdom, as Freud points out the divided impulses and desires in the protagonists, while Nietzsche could recognise the characters’ will to power and/or nothingness leading to its deadly climax. Regarding English as an interdisciplinary subject means to share a space where unashamedly diverse views come together and sit alongside one another. Within our own department we have academics, to pick a few, who research the cultural history of science, continental philosophy, cartography, and fashion alongside and in conjunction with their literary studies. English is a malleable subject that allows – even demands – what Elizabeth Dzeng calls ‘methodological promiscuity’. Working in a closed subject can lead to confined thinking, and studying English should be about maintaining openness and curiosity. We know that the study of English takes us beyond England into a global context, but it should also take us beyond the study of the literary text on its own. The interdisciplinary scholar is not a jack of all trades, master of none. Often the trades themselves are revealed to be arbitrarily divided, and the mastery comes by way of working at the interface of those diverse materials and ideas.